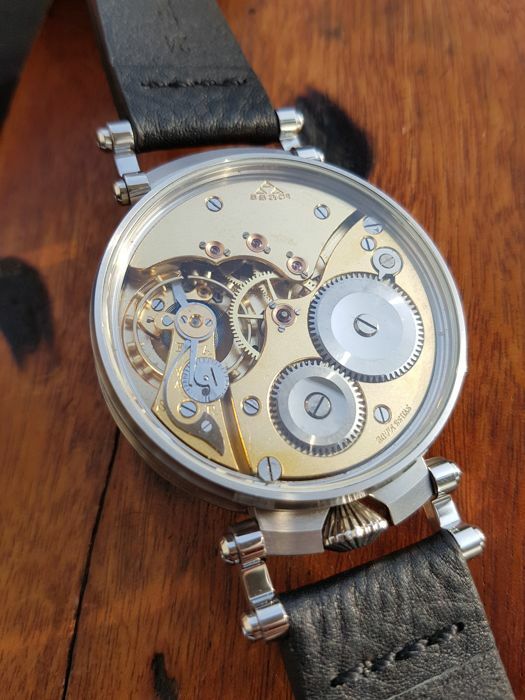 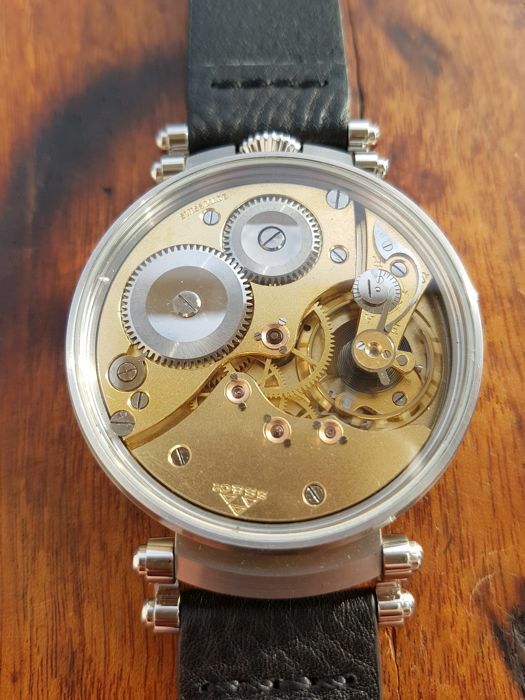 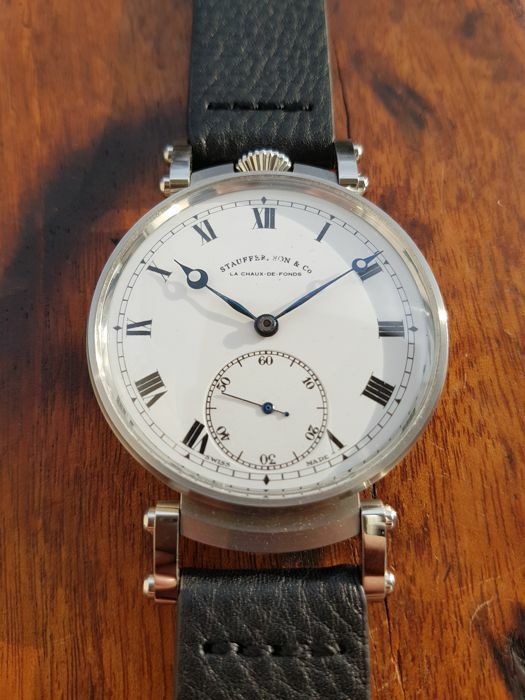 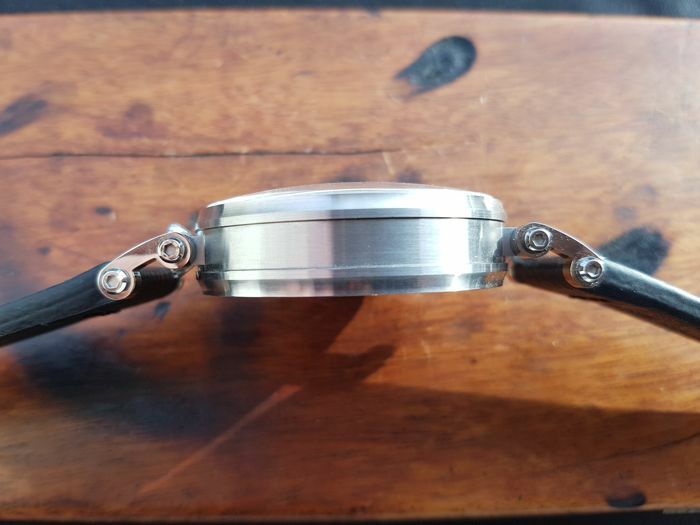 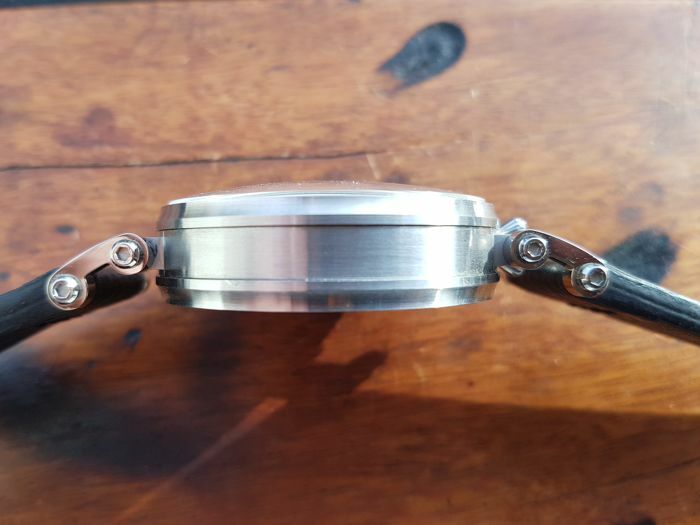 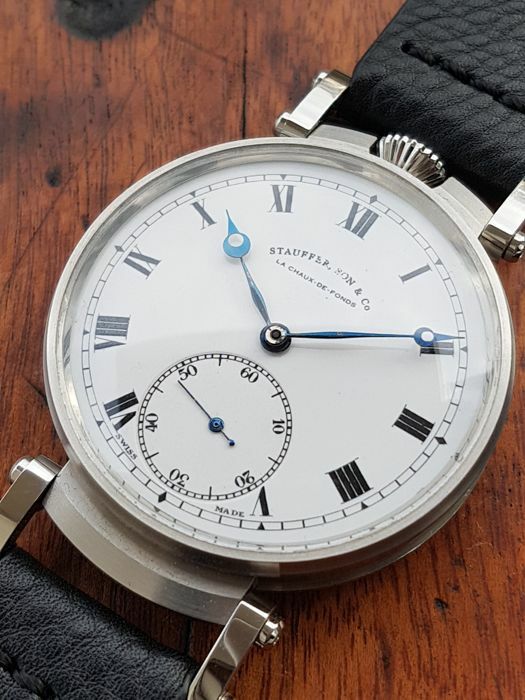 Here is for auction rare Stauffer, Son&Co (English IWC retailer) marriage watch in stainless steel case, with original dial and top grade movement. 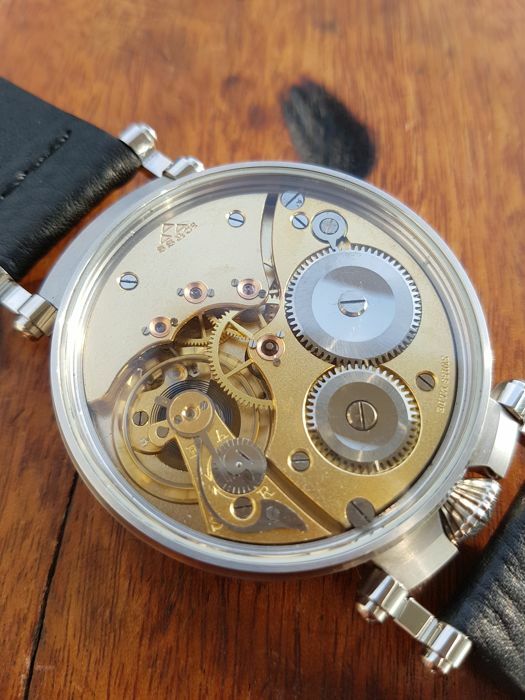 Case with glass, transparent case back is special-custom made for this watch, condition is brand new and watch was never been worn. 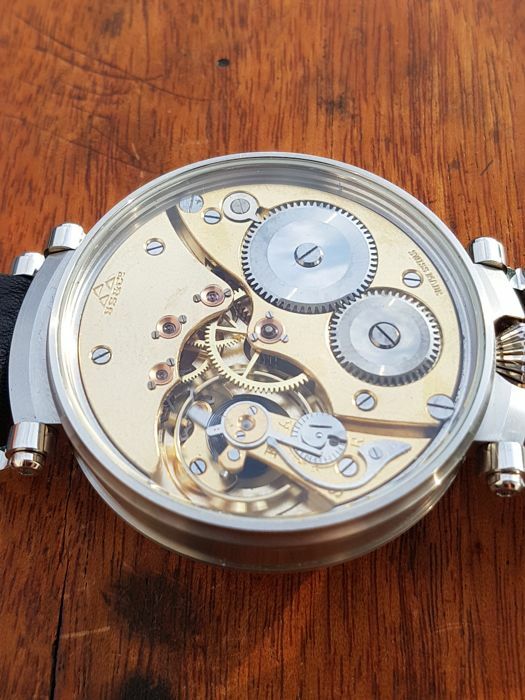 With diameter of 47,5mm looks great. 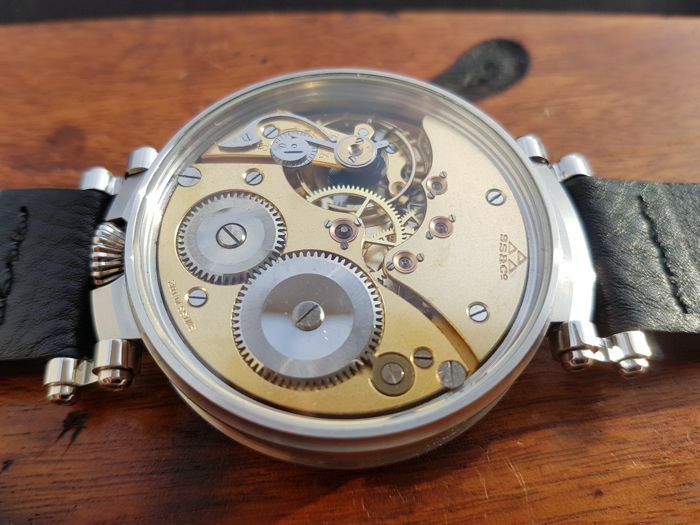 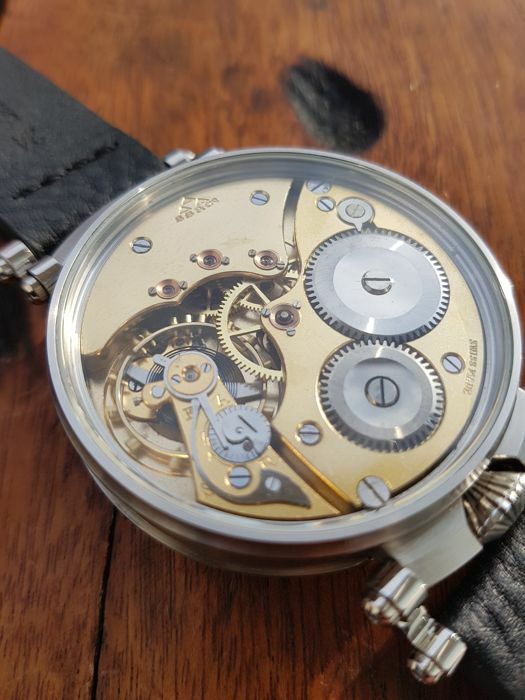 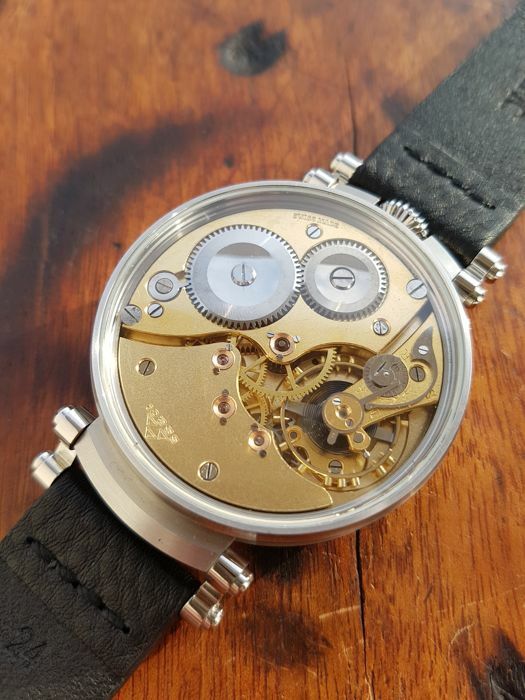 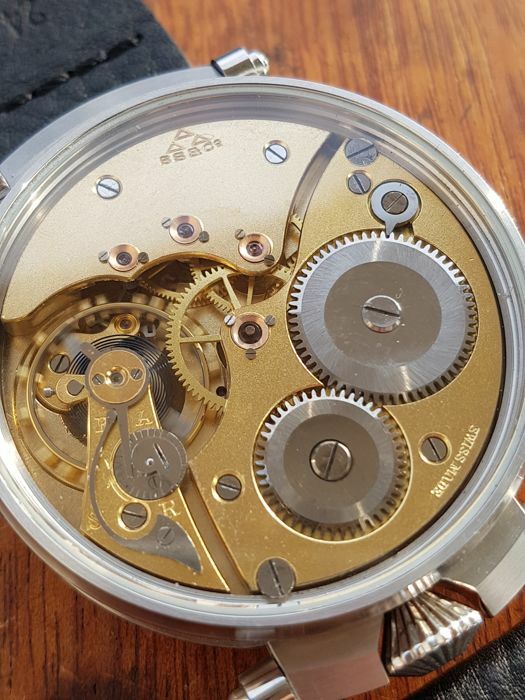 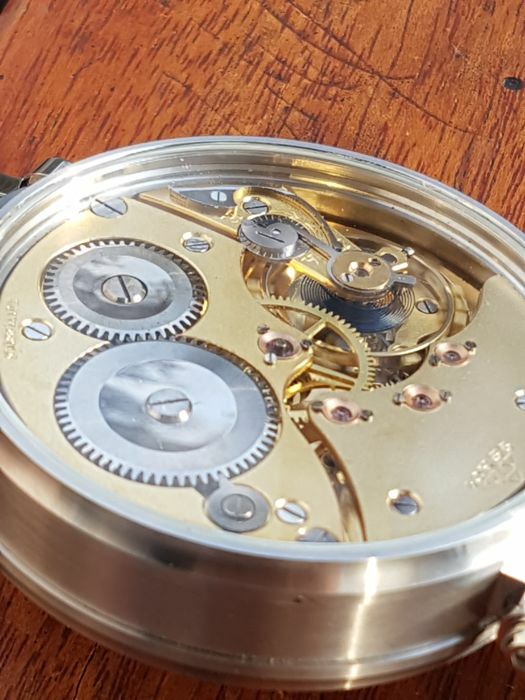 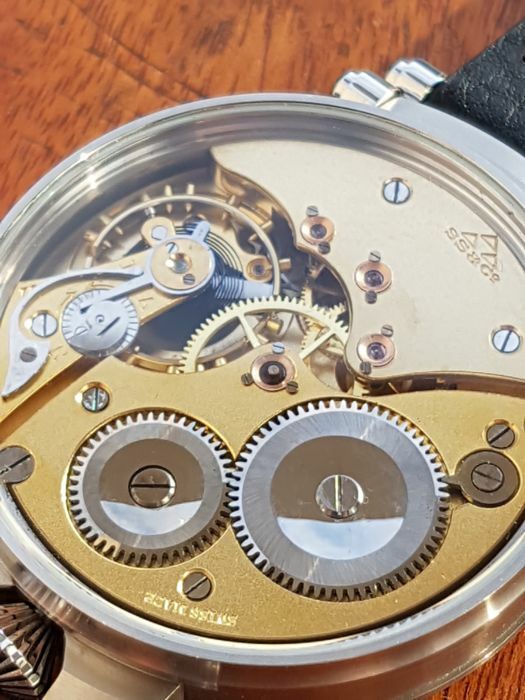 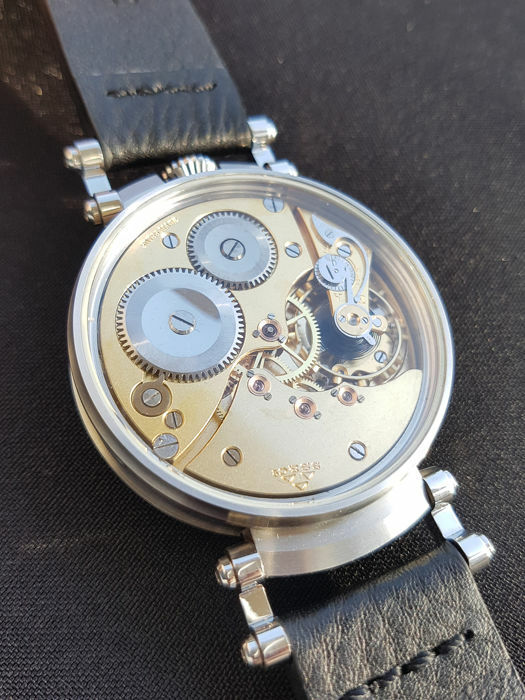 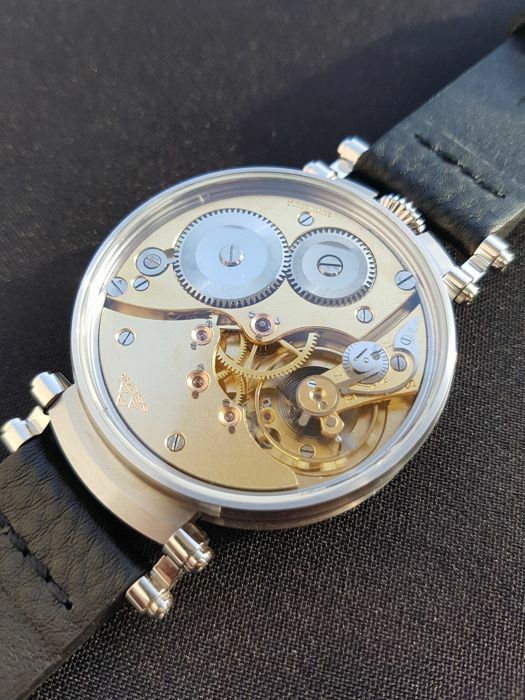 In-house top grade movement with central chatoned jewel, bimetallic screw balance, breguet hairspring, special micro-adjustment and 3 chatoned jewels is very clean, running strong and was checked by a watchmaker when recased. 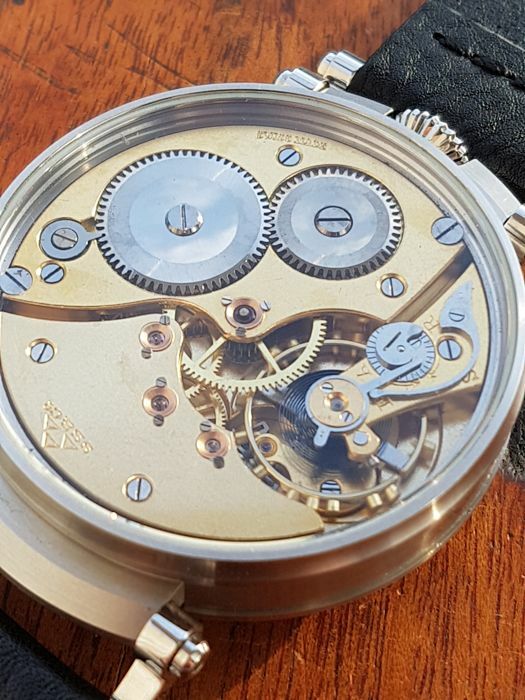 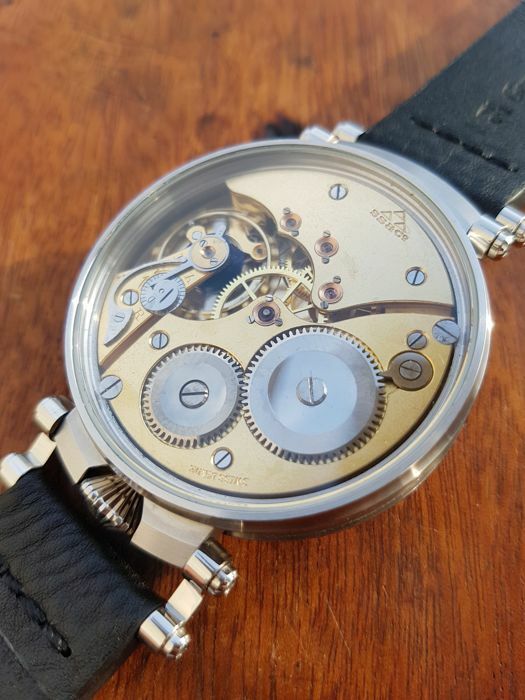 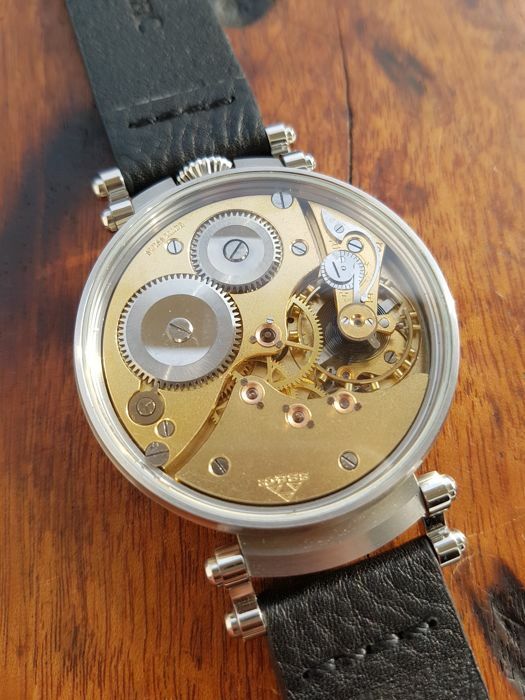 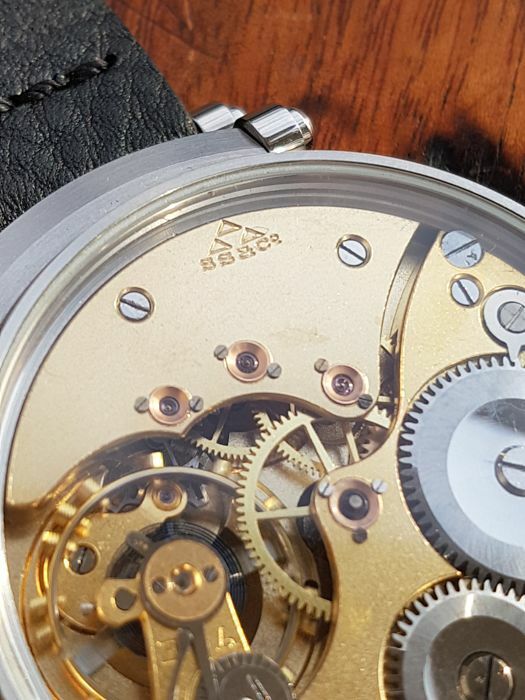 Movement is signed with SS&Co triangles logo which was used only on highest quality, own made movements. 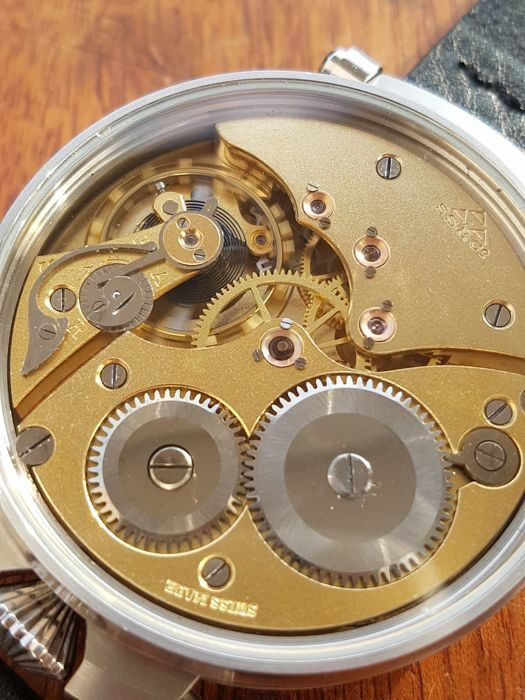 Watch keeps accurate time very well for a vintage timepiece. 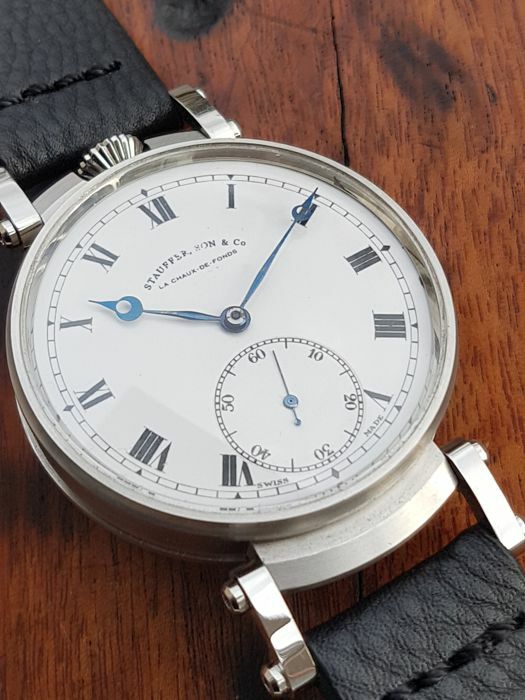 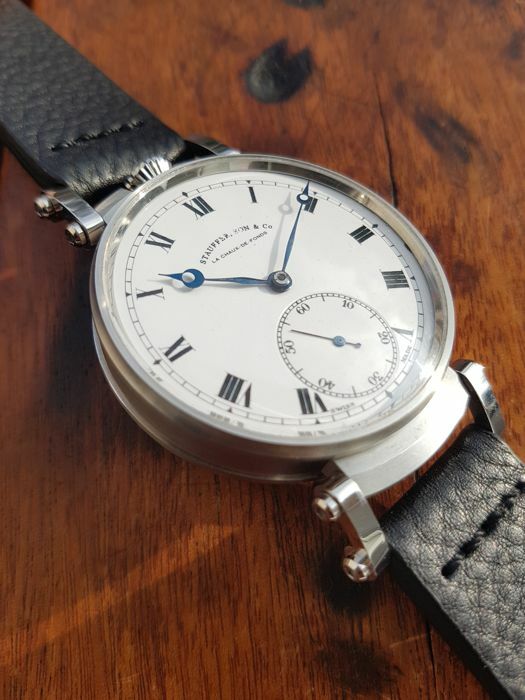 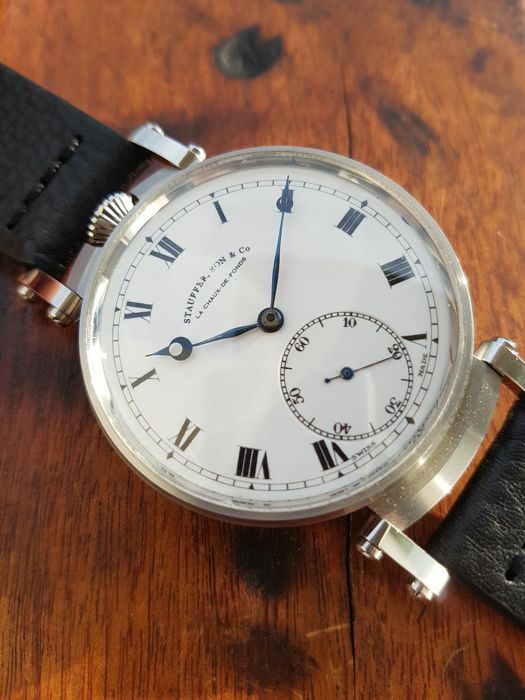 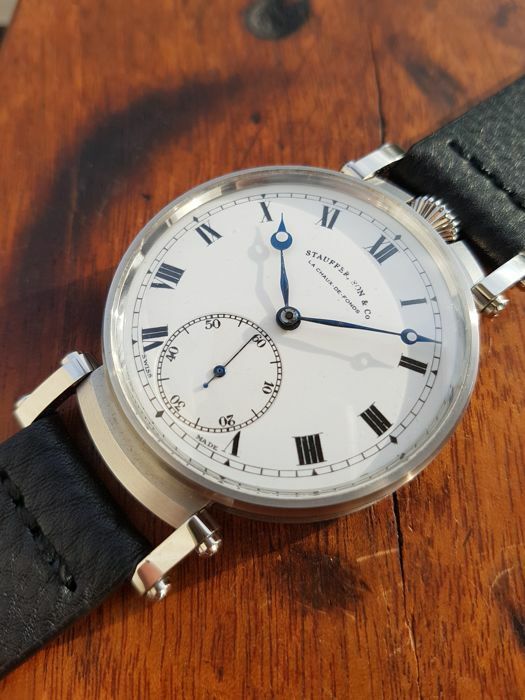 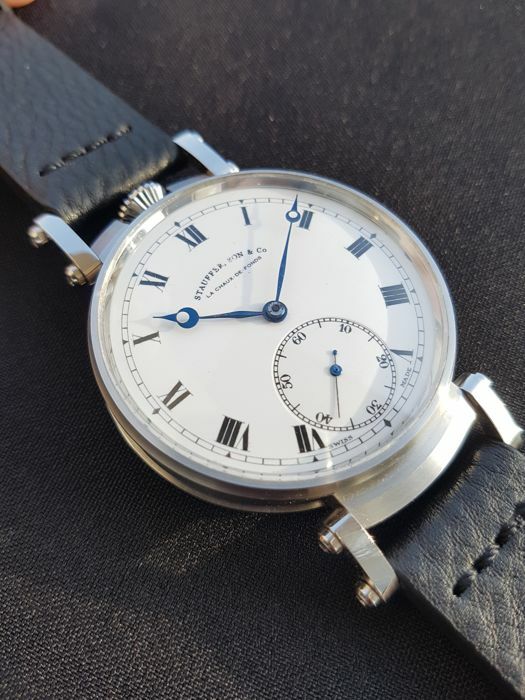 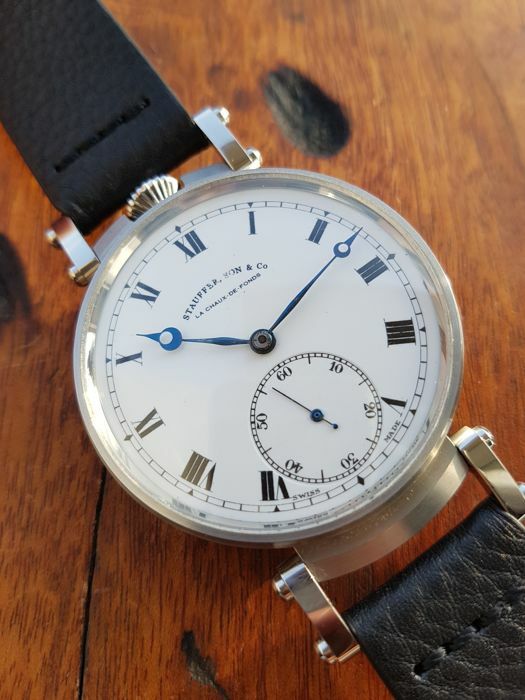 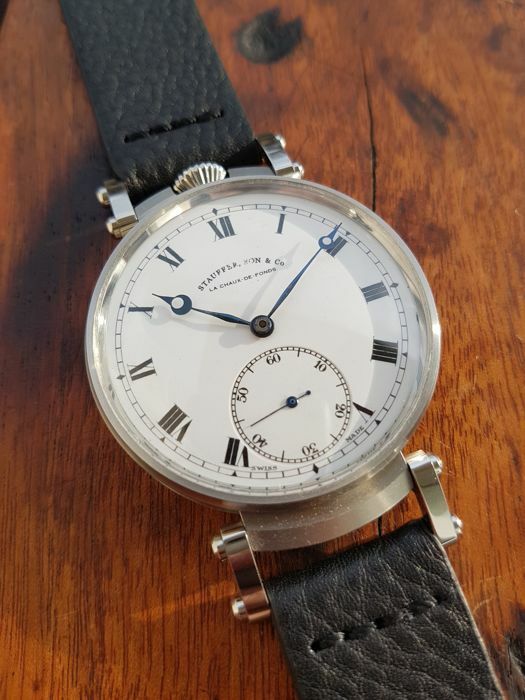 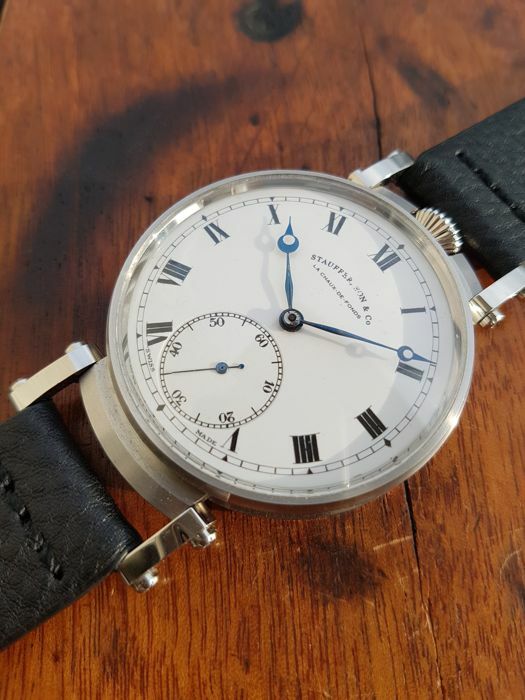 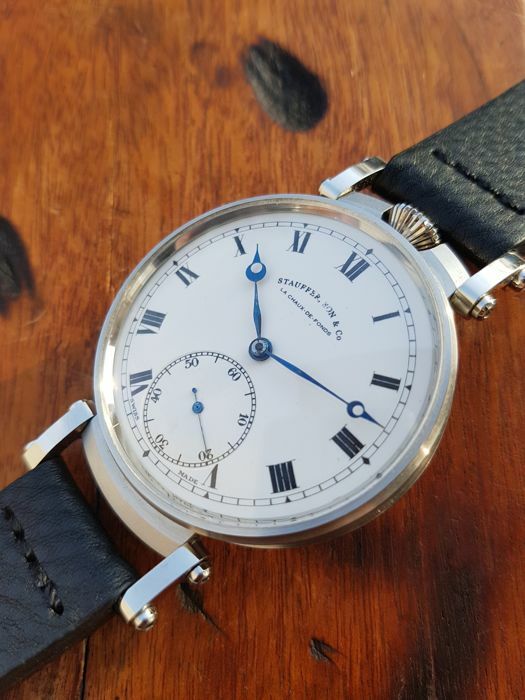 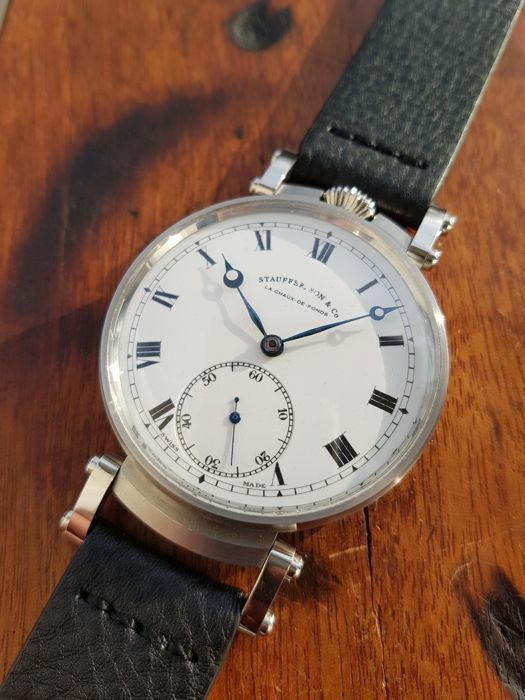 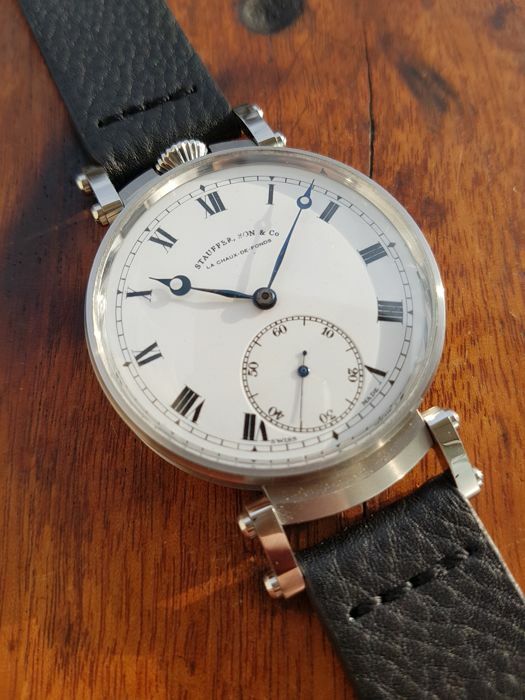 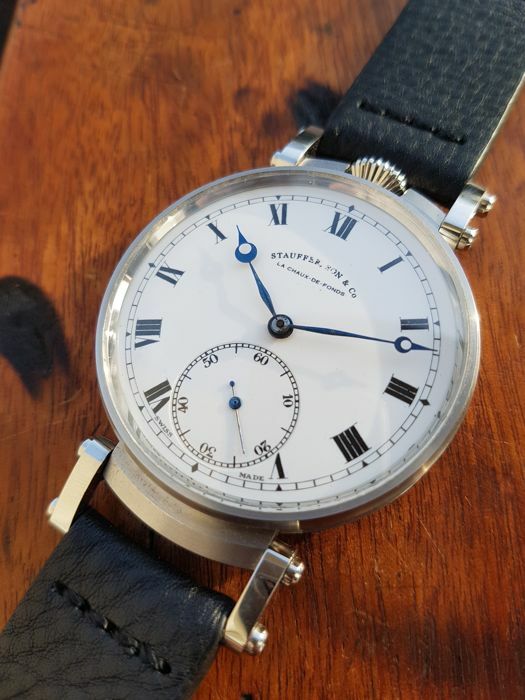 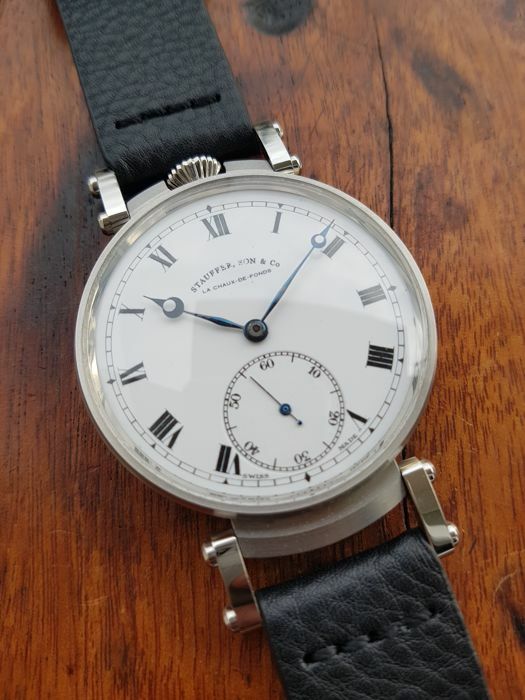 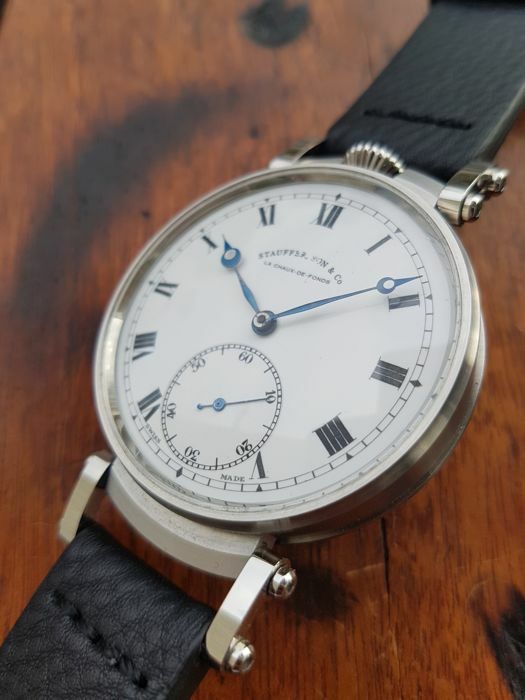 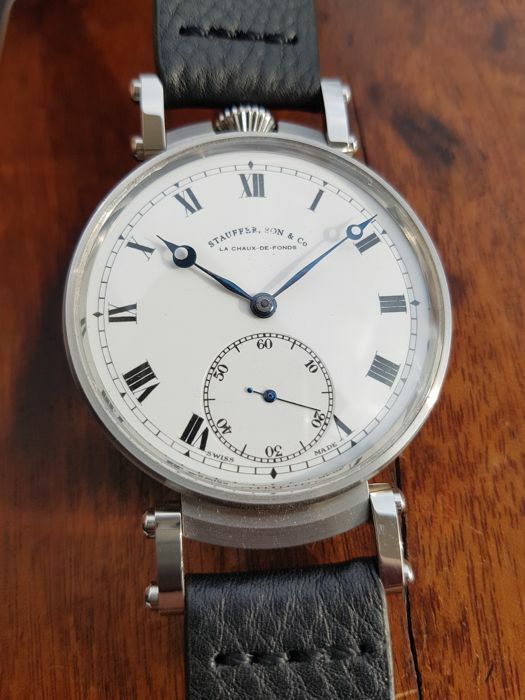 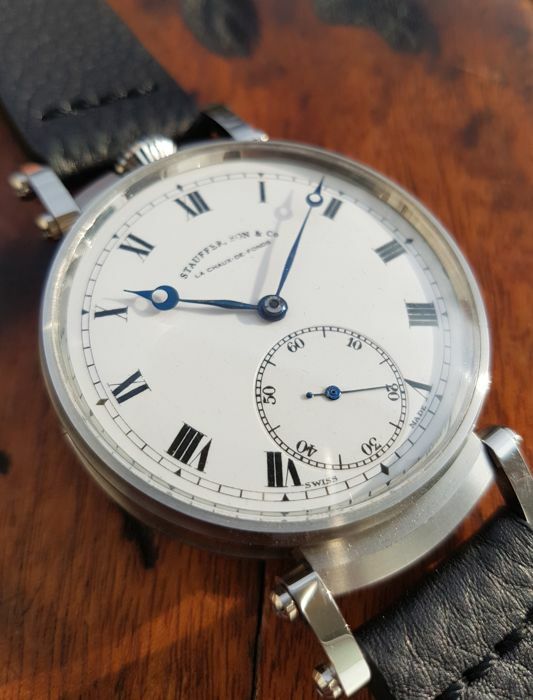 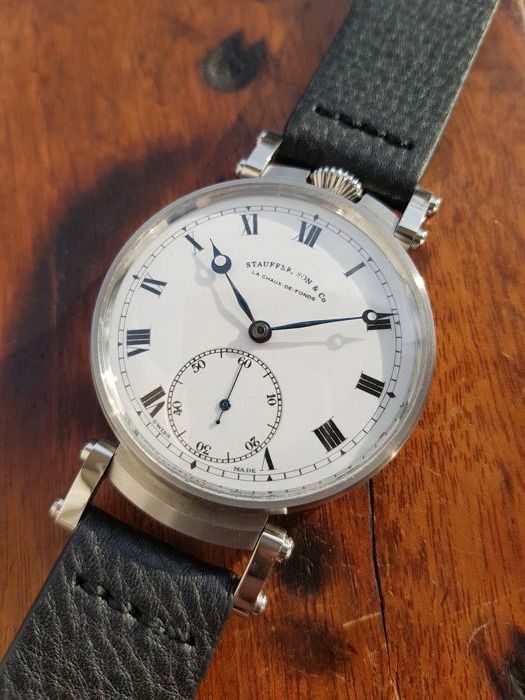 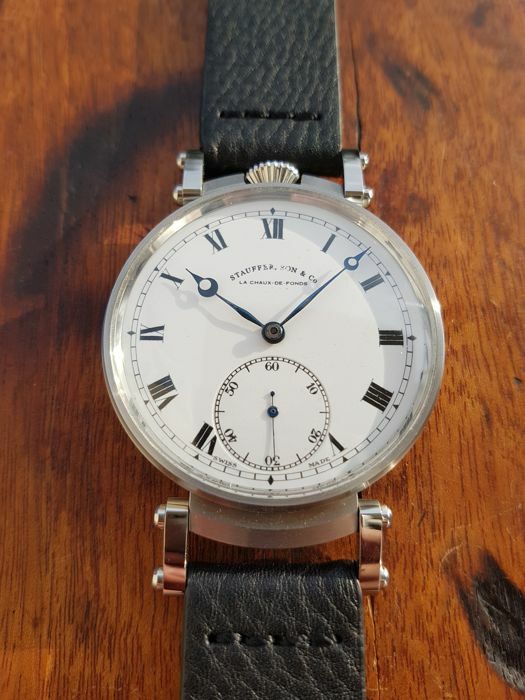 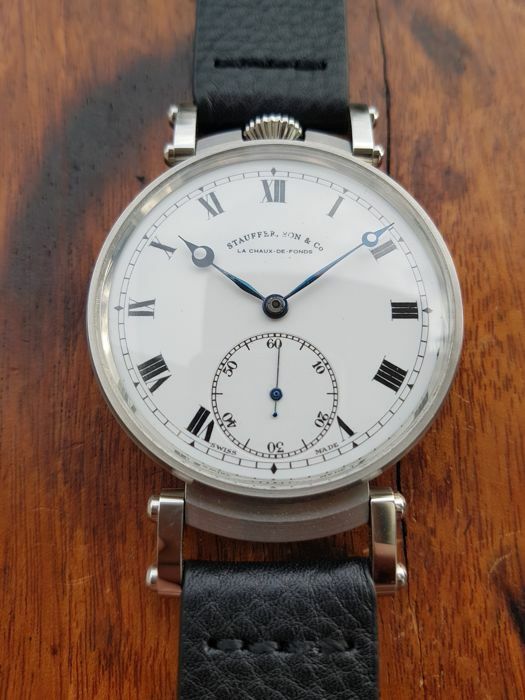 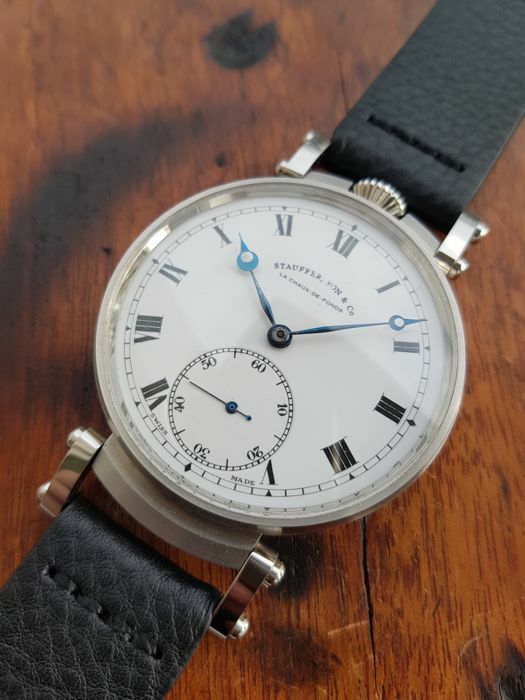 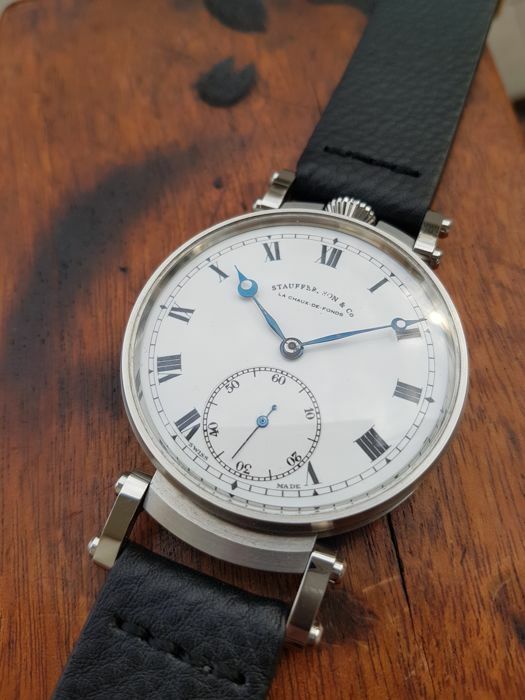 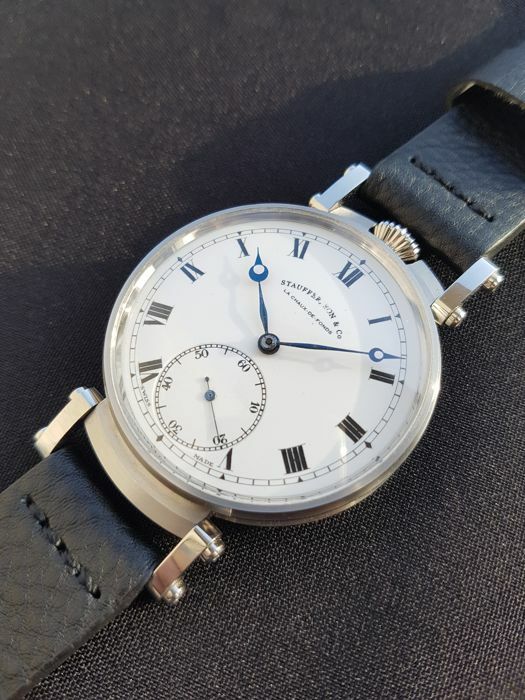 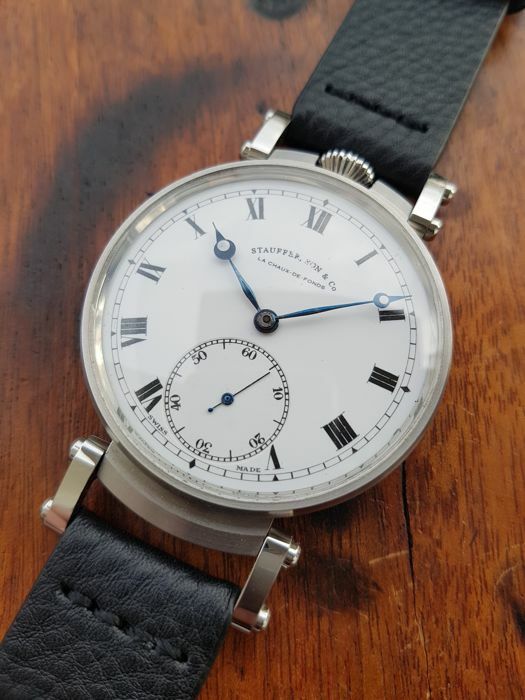 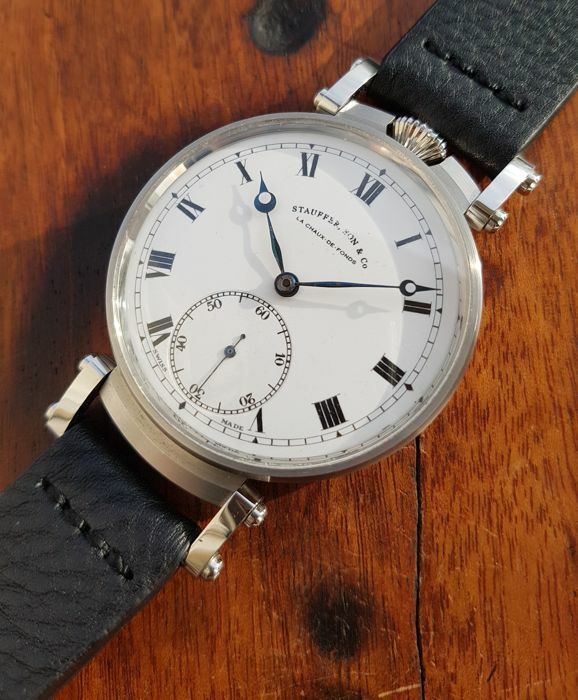 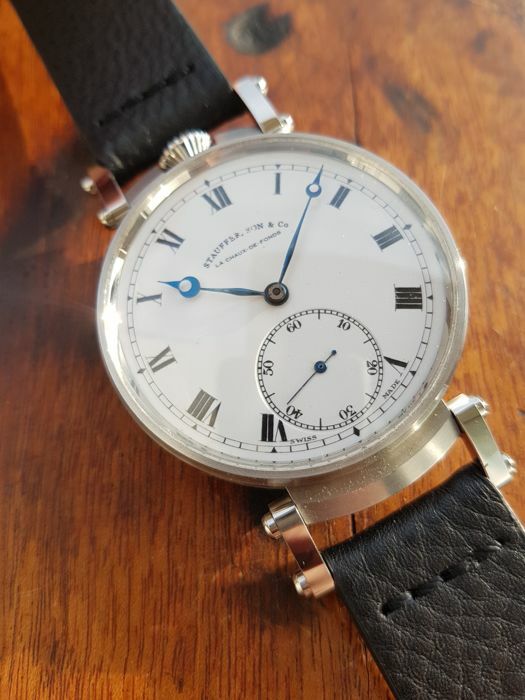 Classic white dial with full black roman numerals is in mint condition, no cracks or hairlines, signed with "Stauffer, Son & Co La Chaux-De-Fonds" and "Swiss Made", genuine blue hands are in mint condition, crown is brand new. 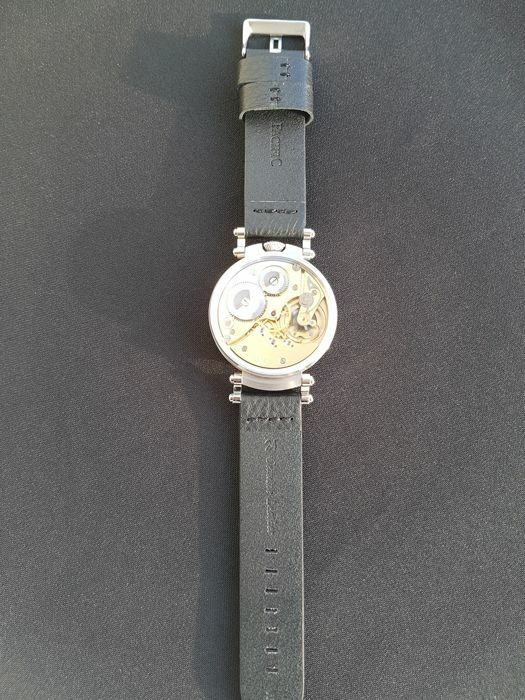 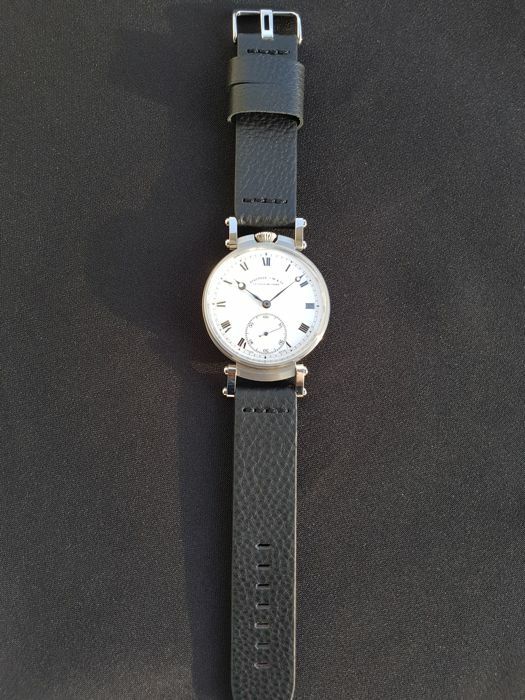 Watch comes with nice black strap of total length ca.19cm.